UPDATED: Sat., Jan. 12, 2019, 4:51 p.m.
Idaho law enforcement arrested a Rathdrum man after he led them on a car chase from Post Falls to Coeur d’Alene late Friday. Kevin Christopher Patterson, 37, was driving a white Dodge pickup truck erratically, drawing a 911 call from a nearby car, eastbound on Interstate 90 in Post Falls, according to a news release from Idaho State Police. 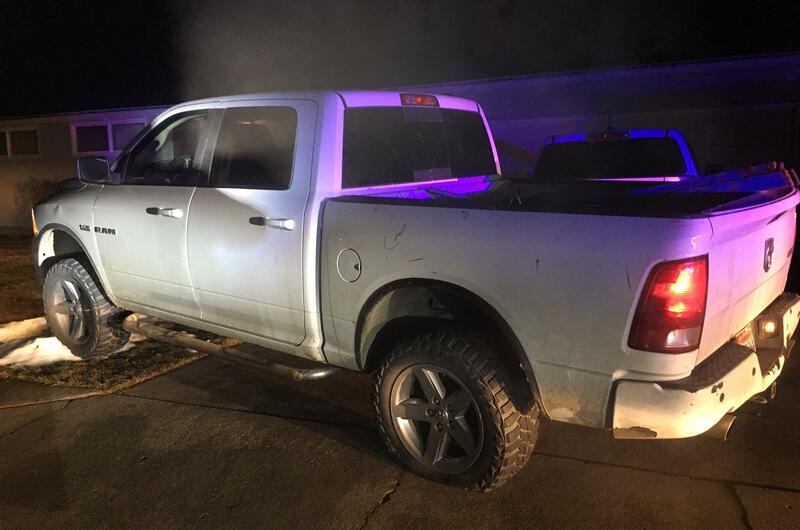 An ISP trooper spotted the truck and tried to stop it, but Patterson took off toward Coeur d’Alene. The trooper temporarily abandoned the chase due to its proximity to the city. Minutes later, another trooper saw the truck and deployed spike strips. The truck hit the strip and one tire deflated, but the driver continued on I-90 and took the 15th Street exit south. The truck turned onto Spokane Street and then north on 14th before stopping in the yard of a house. Patterson exited and took of running, according to the release. ISP, Kootenai County Sheriff’s Deputies and Coeur d’Alene Police established a perimeter, brought out a K-9 and took Patterson into custody. Patterson is charged with felony eluding, resisting and obstructing, malicious injury to property and reckless driving, according to the news release. Published: Jan. 12, 2019, 1:25 p.m. Updated: Jan. 12, 2019, 4:51 p.m.